Lock in a great price for De L'Etang – rated 8.9 by recent guests! The staff were really friendly and extremely helpful. The room was lovely and clean with a stunning view of the beach. It was nice to be able to sit outside the bar on the patio and see the sea! second time at this hotel and not the last great holiday great weather . The breakfast was excellent,and the staff were very friendly and helpful.The room was spotless and although it was facing the back there was nothing unsightly to annoy us. Breakfast was excellent, a good choice of cereals or fruit and yogurt plus a full English. 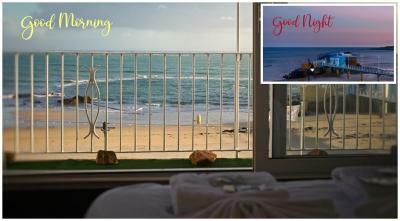 Location with beach facing the hotel, beautiful view from bedroom and outside patio. A few more Bar /resturants in walking distance of guest house. Guest House resturant excellent, prior booking recommended to avoid disappointment. Hosts and staff were very welcoming and did their best to make your stay a good one. Staff really friendly. Right near bus stop right on the beach. Rooms cleaned every day. Early access to room was useful. 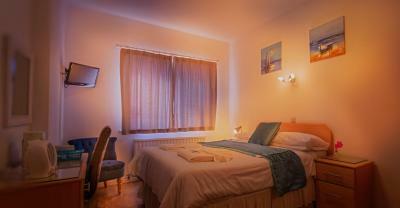 The staff were friendly and overall, the hotel was clean and fresh smelling. Very friendly owners and staff. Kept very clean, in a good location and an excellent cooked breakfast. I nad amaizing sea view from the room. Staff verry friendly. De L'Etang This rating is a reflection of how the property compares to the industry standard when it comes to price, facilities and services available. It's based on a self-evaluation by the property. Use this rating to help choose your stay! Located in Havre-Des-Pas, right on the sea front and opposite the public bathing pool, this family-run guest house has a bar, a restaurant and free Wi-Fi in the public areas. 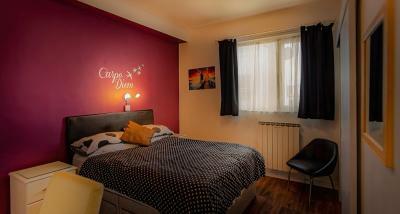 The bedrooms at De L'Etang all have an private bathroom with a shower and a hairdryer. They also feature a flat-screen TV and some of them have sea views. A cooked breakfast is served every morning and guests can have a meal in the café/restaurant or on the patio, facing the sea. 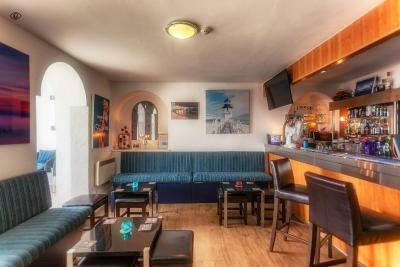 The bar has a TV lounge and theme nights are occasionally held. 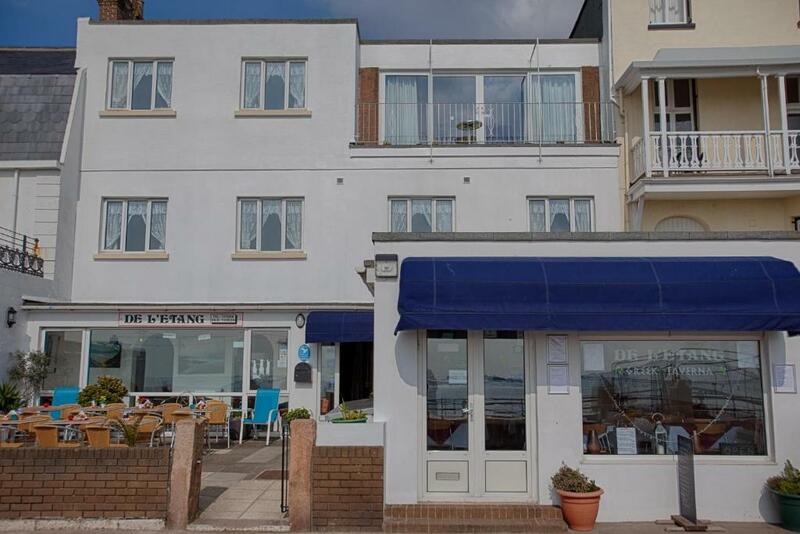 De L'Etang guest house is less than a 10-minute walk from St Helier town center. Esplanade and St Helier Harbor are less than 1.9 miles away. When would you like to stay at De L'Etang? 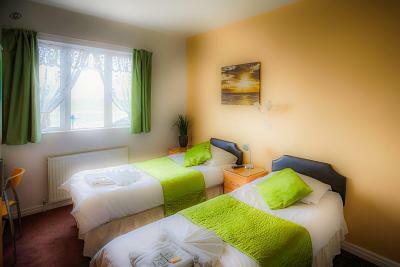 This homely room has tea/coffee making facilities, a flat-screen TV and an en suite shower. 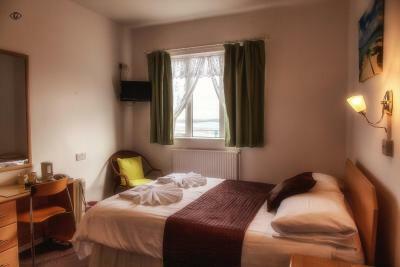 This homely room has tea/coffee making facilities, a flat-screen TV and an en suite shower. It also has sea views. House Rules De L'Etang takes special requests – add in the next step! All children from 5 to 12 year are charged 50 % of the room stay per night for extra beds. De L&#39;Etang accepts these cards and reserves the right to temporarily hold an amount prior to arrival. De L'Etang accepts these cards and reserves the right to temporarily hold an amount prior to arrival. This property does not accept American Express cards. As we had hired a car at the airport, we found it very difficult to find somewhere to park in the vicinity of the premises. Shower head kept sliding down! Location was fantastic. opposite the beach, close to public transport links. Very good value for money. Even though there is a bar on site no noise in the room. We thought we were alone on the floor. Room was clean and had everything we could need. Breakfast was lovely and ate in their restaurant on the evening, The food was amazing. Excellent service, very warm attitude by both the staff and the manager. Rich breakfast and comfortable room. The view of the raging ocean in front of the windows is unforgettable. Staff very kind and friendly. Lovely sea view from room. Breakfast could have been served until a later time.